Blockchain is a frequently used buzzword nowadays. We have heard it numerous times in every technical or managerial meeting. As per our discussions and the market news, almost all the sectors are craving to adopt Blockchain including healthcare, publishing & media, entertainment, etc. due to the unmatched secure architecture of this technology. 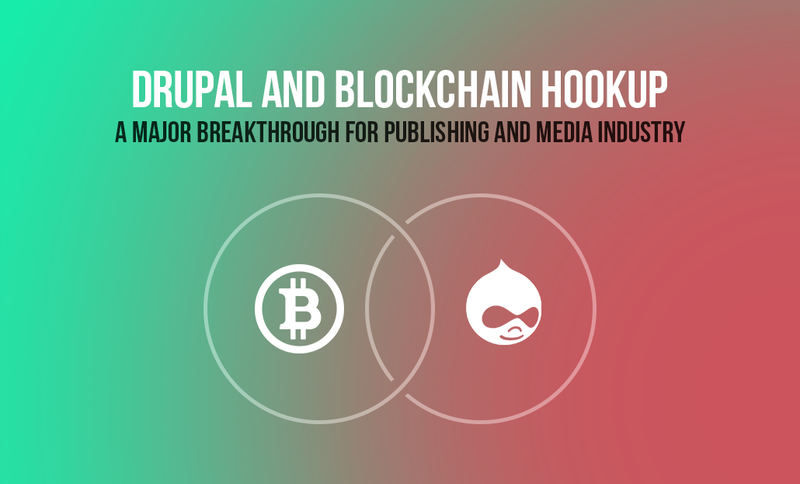 Being a Drupal developer for the last 10+ years and working on almost 60+ publishing and media websites, I would like to explore the impact of Blockchain on publishing and media industry. However, before jumping directly into the impact, let’s understand what Blockchain is and its benefits across sectors. Bitcoin and Ethereum, do they sound familiar? Yes; a couple of years ago, these words were all over the news and the Blockchain model is at the base of both and that ensures the existence of zero fraud and no third-party interference. In simple words, Blockchain is a safe system to store information, make transactions and perform various functions. An open source platform with a quick payment method, it reduces transaction costs and offers never-seen-before data security and integrity to establish trust. Let’s discuss how this can be beneficial for the publishing and media industry. 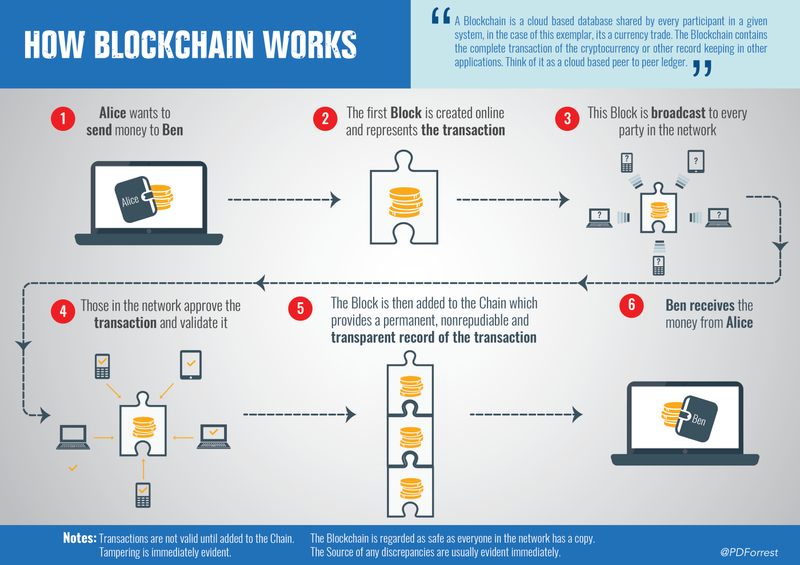 Before digging the influence of Blockchain on media & publishing industry, lets understand how Blockchain works with the following info-graphic. As Blockchain provides a digital decentralized ledger system which will reduce the efforts of validation and verification for security in publishing as well as for other industries. Due to its encrypted and hashed (an encrypted token) transactions, the most feared situation for publication and media sector i.e. piracy or faked transactions will be reduced (maybe almost stopped). For publishing and media sector Digital Advertising is also a crucial and integral part. Blockchain’s transparent and encrypted ledger system will surely reduce frauds and consumer’s data will be more protected. As the required data provided by the users is distributed across nodes, creating customer profiles will be easier and convenient. Blockchain system works on adding a unique encrypted token (Hash) with every transaction which will help to establish a legal distribution mechanism. It provides a combination of correct eminence and on-chain finding that expands the options for monetizing content in a safe, controlled way. You can purchase a chapter instead of an entire book or a single song instead of a whole album. It would be possible as one of the advantages of Blockchain is dividing the payments into smaller parts. Hence, consumers can pay only for the content they are using. The transaction data is distributed to all nodes, so the media industries can keep a track of all transactions and analyze the sales data in real-time. Along with this the other benefits for the media sector can be crowdfunding using Initial Coin Offerings (ICOs), transparent royalties payments etc. Both Drupal and Blockchain are internet-based, community-driven open source platforms used for creating digital assets. What makes this engagement interesting and challenging is Drupal uses a centralized database while Blockchain provides decentralized ledger system. Despite these differences, we can use the best of both Drupal and Blockchain technologies. While the required user group identification, editorial & functional workflow, digital signing of documents, and tracking of all the assets etc. can be implemented at Drupal’s end, at the same time for secured payments over the internet across various websites, Blockchain’s decentralized ledger system will add a layer of trust. Here Drupal will work more like a medium to connect the entities between end-user communities. Keeping this hook-up in mind, Drupal community implemented a few modules like Blockchain, Ethereum, UC Bitcoin, Commerce Bitcoin etc. for quick association and integration with Blockchain. Ethereum and its sub-modules will be useful for Publishing and Media sector by enabling the integration between Ethereum Blockchain and Drupal. Drupal Ethereum submodules will help Drupal users to verify an Ethereum account address and configure applications with Smart contracts. That’s not all, another Drupal module, Ethereum PHP library is also planned to implement the JSON RPC Ethereum API. In today’s digital world, it is obligatory to have an encrypted and secure ledger platform like Blockchain to add a trust layer to your transactions. Blockchain will surely gain momentum in the coming years and transform the whole marketplace.